“Leisure”-The time when one has nothing specific to do & is not in a haste. Indeed,Respiting from monotony & drudgery of daily routine is an aspiration, for which nobody would ever say ‘NO’! Mount Valley Resort, the luxury hotel in Ranthambore, India is a perfect leeway to get break from wearisome schedule & rejuvenate yourself. The resort is the best choice to savour the time where you can be reclining freely and less reluctant to use time in accordance with own inclinations. Mount Valley, the good hotel in Ranthambore attains the wishes of all who would like to laze around their holidays-yawning, dozing, enjoying siesta & for onlookers, who like sightseeing in the countryside. Still others, who want to retire into a solitary nook & mope about brooding on their frustrations must not be hopeless as Ranthambore national park has a fastness of the best hotel in Ranthambore India to overcome the feel of dejection with optimism, as the Luxury Hotel extends the elegant infrastructure. The resort proves to be luxury hotel in Ranthambore by making it welcoming abode for comfortable hang out. Cosy rooms play key role to unwind with your family & friends. Mount Valley The well known good hotel of Ranthambore outstretches the relaxing facilities of Spa world, Splashing pool enliven with scrumptious meals. In addition to luxury, the resort understands the vitality of listening to the chirruping birds, roaring wildlife & above all, the complacency of lying down in the green field. Therefore, to find tender patch of green, where you can lie under caressing cool shades of trees is now easy with one click of the best hotel in Ranthambore Mount Valley Resorts. 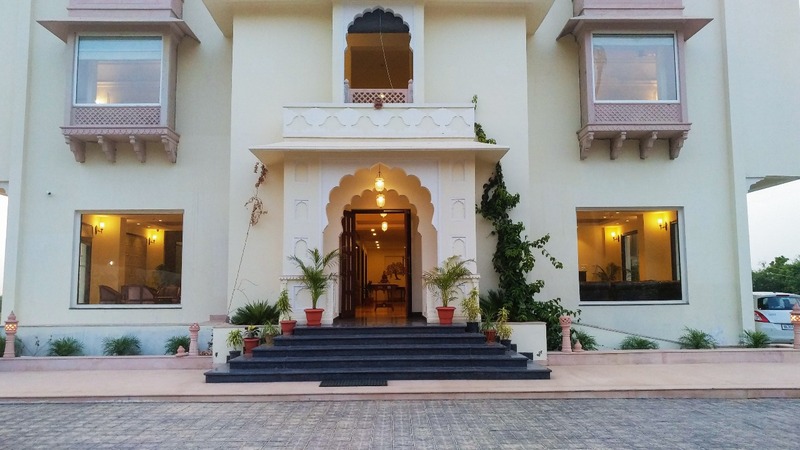 This luxury and good hotel in Ranthambore India, not only helps you get rid of your fatigue, but also, caters the desires of escapades through the wildlife stroll, satiate the avarice of beauty lovers by providing the view of renowned attractions of the Royal State. Without delay, grab the best luxury hotel mount valley of Ranthambore which is bedecked with enormous interior as well as green-spread exterior that bestows to look beyond cramped existence & executes program to revitalize through recreation, to know about the riches of the Royal State, adventure of wildlife & renewing relationship with our estranged Mother. Copyright 2017 Ranthambore Mount Valley Resort. All rights reserved.